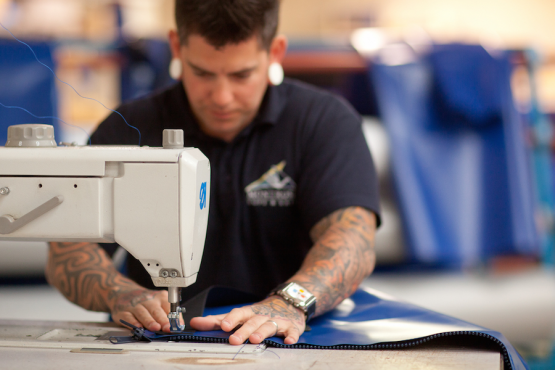 We thought it would be a good idea to tell the story of how our famous Montrose Rope & Sail offshore bags are made. Then we thought it would be good to show how our company continues our 200 year tradition of producing hand crafted, quality products. So we had two little movies made that show the beauty of what we do, our commitment to customer service and our unrivalled reputation for quality products in our industry. Enjoy a sneak peek behind the scenes of Montrose Rope & Sail.